The Navy says it is moving full-throttle on plans to fly unmanned aircraft off of carriers. The planned MQ-25A will serve primarily as a refueling platform, with the capacity to carry out some intelligence missions. The first unmanned craft to fly off a carrier, it is slated to deploy on the aircraft carriers Dwight D. Eisenhower and George H.W. Bush as early as 2019. 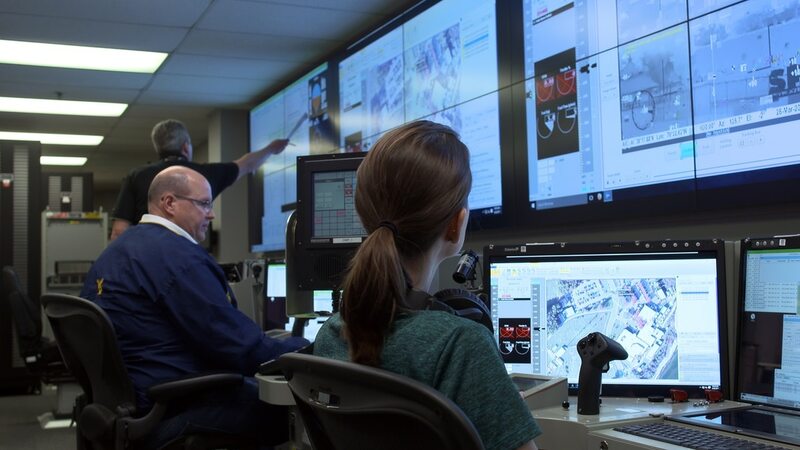 At the heart of the effort is development of a command-and-control system known as the Unmanned Carrier Aviation Mission Control System, or UMCS. Integrating this into the existing Navy communications infrastructure is “the first step” in ensuring successful operations, said Capt. Beau Duarte, the Unmanned Carrier Aviation program manager. The service is reporting progress on that front. Planners executed a successful demonstration this spring and say they can now utilize the mission-control system located aboard an aircraft carrier to control and transmit information to the future UAV. Ongoing development of this C2 system is key to long-term success of the MQ-25A mission. Much of the C2 hardware platform derives from other existing Navy assets, including the Naval Sea Systems Command’s Common Display System and the Common Processing System from the guided-missile destroyer DDG-1000 and other Aegis ships. By sticking with known systems, the service says it sought to ensure compatibility and availability. “These components were chosen to leverage existing capabilities, infrastructure and supply chains. They are also shipboard certified for use in the dynamic [carrier] environment,” Duarte said. In designing the UMCS, planners also tapped the Navy’s Common Control System, or CCS, a software architecture managed by the Strike Planning and Execution Systems office of Naval Air Systems Command. CCS provides “an open-software architecture that is agile and scalable to support evolving requirements,” Duarte said. The system will support the UAV’s primary mission control, mission planning, dynamic airspace, external messaging and communication, and sensor product payload. Even as the development team has leaned heavily on existing, internal C2 assets, it has also left open the window for outside participation. While CCS covers most common functions, planners anticipate incorporating third-party software to carry out vehicle-specific capabilities. They say the ability to successfully integrate such outside tools has been a key success factor in the program so far. To test the capabilities of their evolving system, developers have used the command systems to operate a mobile aviation interoperability lab — a truck that’s been wired up to simulate the responses of a UAV. The team has tested connectivity between the simulated UAV systems and shipboard network systems. The team has also verified the ability to exchange data between the systems, to share dynamic mission-planning in information, and even to operate electro-optical/infrared cameras. “By doing demos in the lab first, we are able to prove the control-system concept before providing the UMCS to the air-system vendor and undergoing test, which provides significant risk reduction as well as schedule and cost savings,” Jaimie Grubb, UMCS team lead, said in a Navy release. The Navy aims to spend more than $2 billion on unmanned refueling platform development through 2021, according to the Government Accountability Office. Chief of Naval Operations Adm. John Richardson told the Senate Committee on Armed Services last fall that the MQ-25 is “the leading edge” of the effort to modernize the service. “I am driving this as quickly as possible so we can capitalize on the step increase in capability [that] unmanned systems will offer us in the future,” he said. The Navy has made multiple awards in support of the program. Last fall, Northrup Grumman was awarded a $35.7 million contract with Naval Air Systems Command; General Atomics was awarded a $43.7 million deal; and Boeing and Lockheed Martin each landed a $43 million contract in support of the program. The pace has continued in 2017, with additional contracts to the same key players: Northrop Grumman at $24.7 million; Boeing at $19.1 million; Lockheed Martin at $18.8 million; and General Atomics at $18.7 million. The UMCS is slated to eventually be delivered to all Nimitz-class and Ford-class carriers in support of unmanned missions.